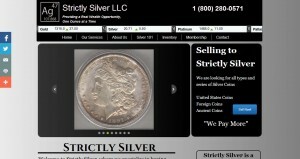 Strictly Silver address, phone, website, hours of operation, and more. When it comes time to sell a Coin or a Collection, dealers always give the little guy the short end of the stick. It is an insulting experience that can be hard to watch from a third party’s point of view. Dealing with these situations for years has inspired us to develop the future of coin collecting! Twenty years ago, the coin collecting community would have never imagined a medium that would connect thousands of collectors whom are buying and selling without the greedy middleman known as the dealer. The next generation of collecting is the internet! We envision an enjoyable an honest place for coin collectors and smaller scale silver investors to buy, sell and trade silver and coins from the comfort of home. 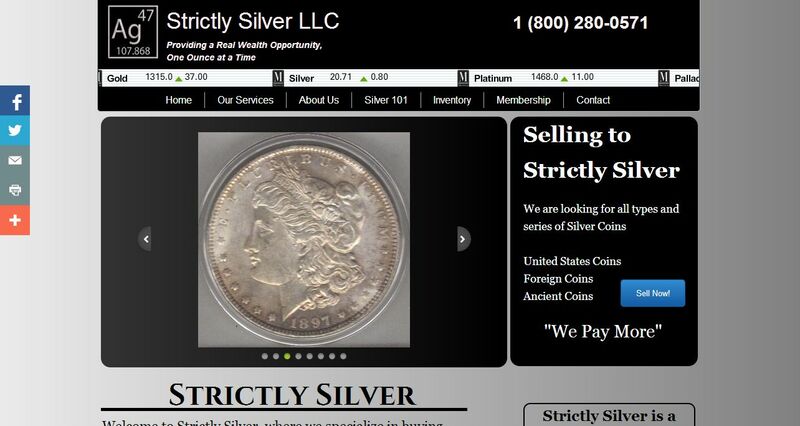 That is the beauty of Strictly Silver’s business model; we connect buyers with sellers and accommodate the in between needs of the small time investors. We pride ourselves on being a small operation, we like it that way.